Two trips to London since Christmas! 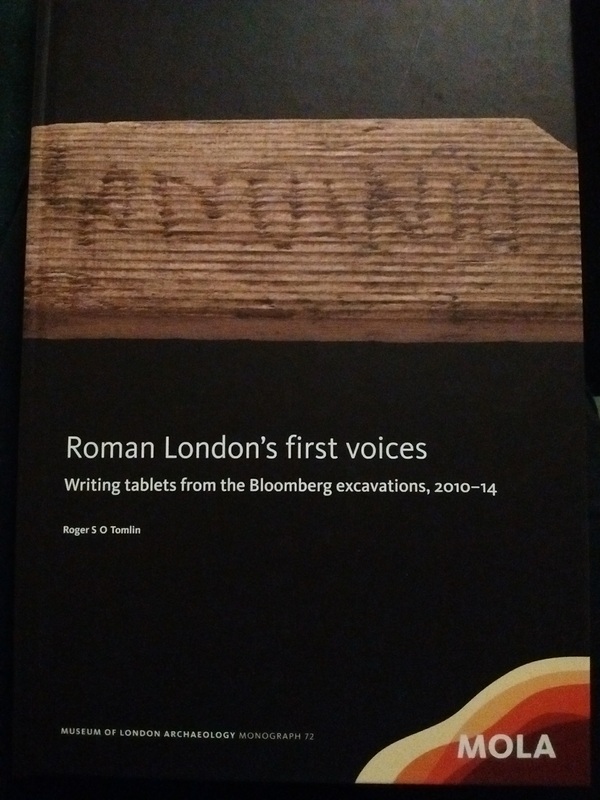 Back in February I meant to do a blog post about seeing some of the Roman writing tablets found on the Bloomberg HQ site, but never quite got around to it. Besides, there were no pictures: perhaps to avoid fisticuffs around the display tables, it was a no-photography event. So I came home with a splendid book instead. It’s OK to take photos at the exhibition of the archaeology from the Crossrail line at the Museum of London in Docklands, and some of them are below. Of course they don’t exactly tie up with the writing-tablets, as the Crossrail project runs from one side of London to the other, so purists may want to look away now. Photographers likewise. Here’s a selection of writing styli (styluses?) from Roman London. This is what scribes would have used to scrape letters in the black wax coating of wooden writing-tablets. The wax from the Bloomberg tablets has gone, but enough of the scrapes remain for Roger Tomlin to be able to decipher some of the script, including the very earliest mention of the name of London itself, shown on the book cover above. 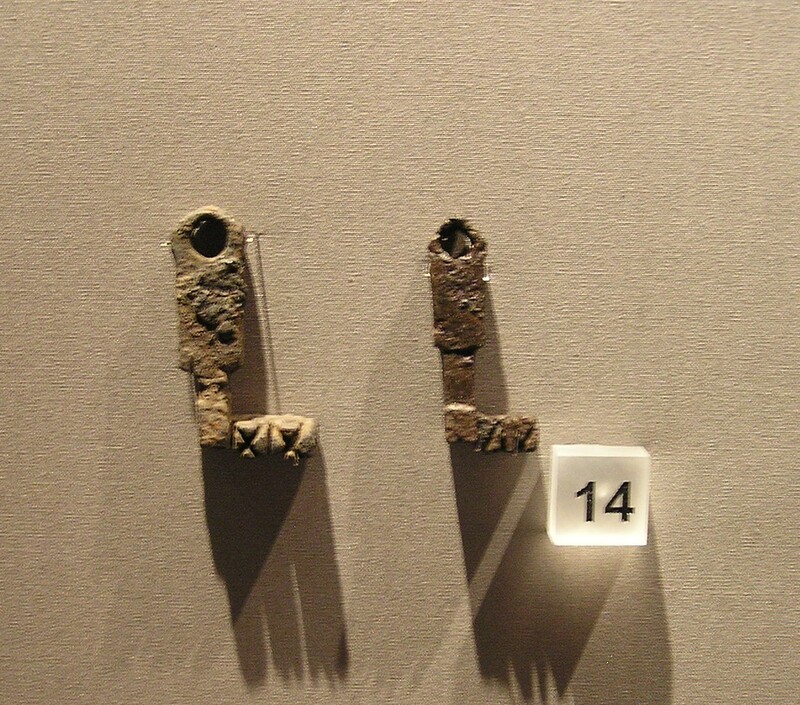 (After a chat with the archaeologist at one of the display tables at the Bloomberg event, my notes include a very enthusiastic, “There is a typology for styli! 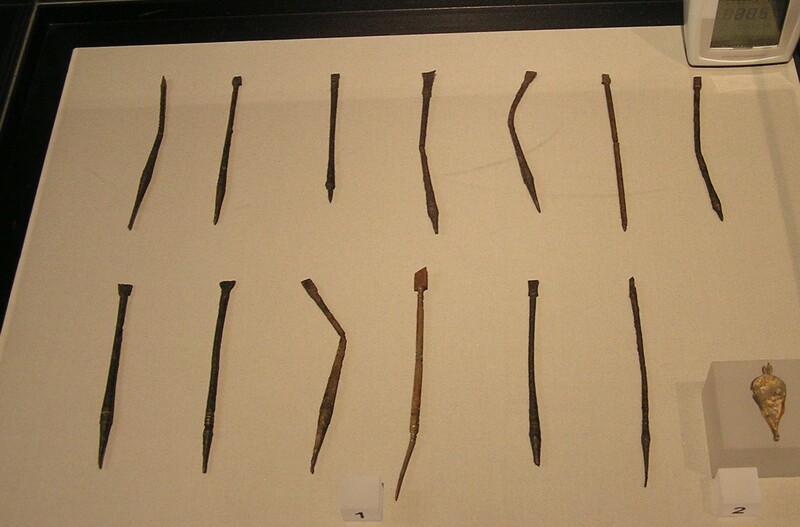 Over the years the weight shifted towards the writing end.” Immediately followed by, “or was it the other end?“) Anyway, the sharp end is for writing and the blunt end is for rubbing out mistakes in the wax. In my experience, never very successfully. It’s likely that the wood for the tablets themselves came from recycled wine barrels. Waste not, want not. The Bloomberg documents show that London was a centre of commerce from its earliest days. On 8 January AD57, Tibullus promised to repay Gratus 105 denarii for goods supplied. This was no small sum: it would have taken an ordinary soldier several months to earn that much. The records of loans and payments range from a handful of denarii to several hundred being handed over as a deposit for a larger contract. 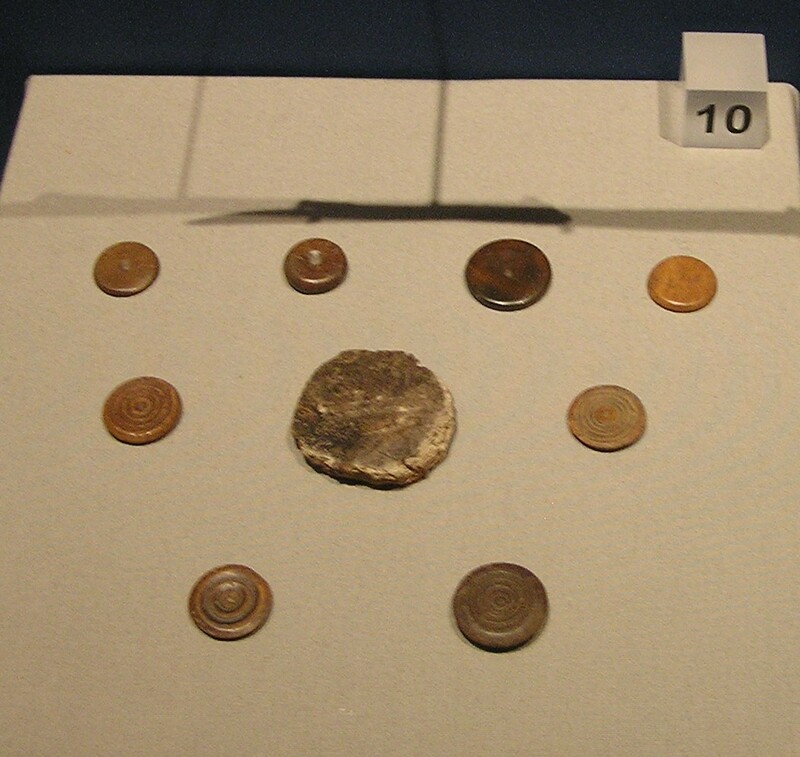 The coins below, found by the Crossrail excavators, definitely weren’t used by Tibullus and Gratus – these were issued by later emperors, Hadrian and Marcus Aurelius. Security for large amounts of cash is always a headache. In a reversal of the usual problem, we’ve found the keys and lost the locks. One of the surprises of the writing tablets has been the discovery of how quickly the province got back on its feet after the disaster of Boudica’s rebellion. 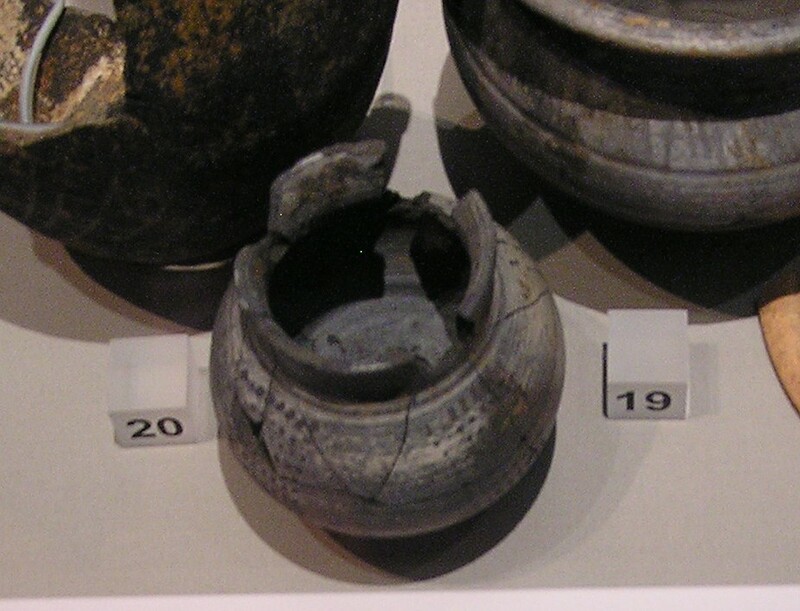 In AD60 or 61, London was burned to the ground and 70,000 people were said to have been killed. Whatever the precise date and casualty figures, the burning was real enough: the evidence is still there in a thick black layer of soot. 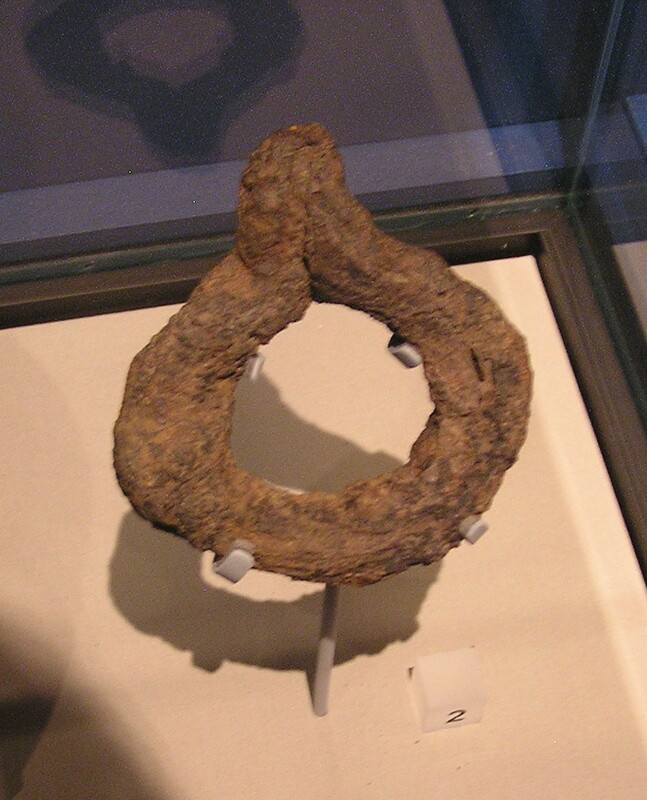 But as early as 21 October AD62, Marcus Rennius Venustus was arranging with Gaius Valerius Proculus to have twenty loads of provisions brought from Verulamium – another town that had fallen victim to Boudica’s forces. Transporting those supplies down the main road that’s now the A5 would have depended on draft animals, so no wonder Taurus was annoyed when Catarrius turned up and removed his ‘beasts of burden’ unexpectedly. Unfortunately much of his letter of complaint to ‘Macrinus his dearest lord’ is lost, so we shall never know exactly what happened. 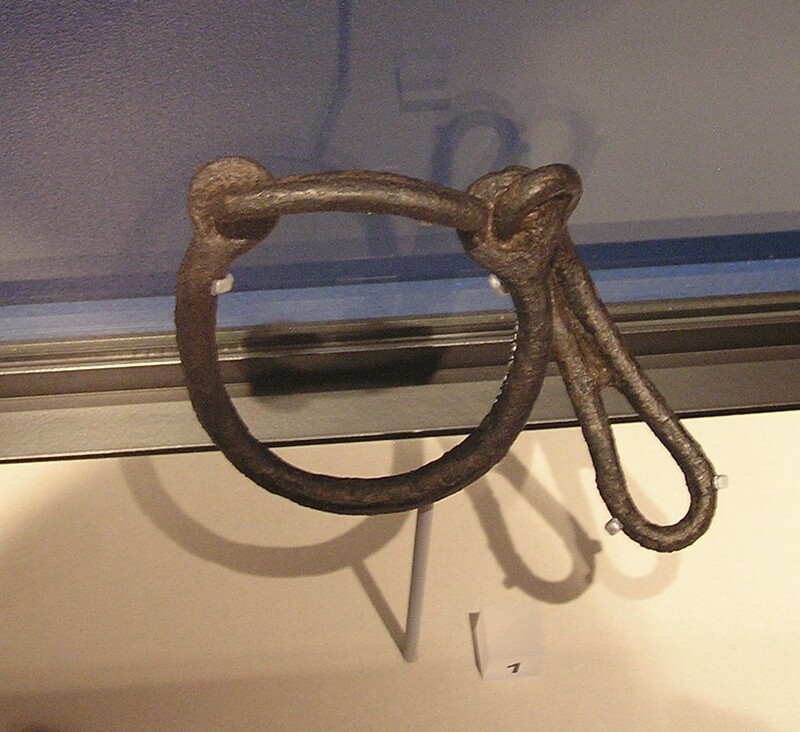 But here are a couple of the 17 hipposandals (overshoes for horses) that turned up during the Crossrail excavations, and in the middle, an ox goad, in case the stick it was fitted onto wasn’t enough to get the heavy transport moving. I’m not sure that really is a cup, but it’s the nearest picture I could find that relates to beer… and while we’re relaxing in the bar, why not pass the time with a board game? That’s a manacle. The archaeologists weren’t entirely sure what to call this (and you, gentle reader, will have even more trouble, since the picture below is out of focus), but it was found around the wrist of a skeleton and would have been very heavy and uncomfortable. Something else I hadn’t considered before was a point made Dr John Pearce when he was talking about the context of the tablets. Although the young city of Londinium was more resilient than we’d realised, its existence was still precarious. It was constantly at risk from fire, flood, plague, and political violence. It depended on extended networks of contacts, many of whom (visiting traders, the Governor’s staff) would have been transient. Even in death, Londoners were not secure – parts of the burial grounds were very low-lying and an odd row of skulls that turned up below Liverpool Street station may have been washed away from their original resting-places by the waters of the now-vanished Walbrook. 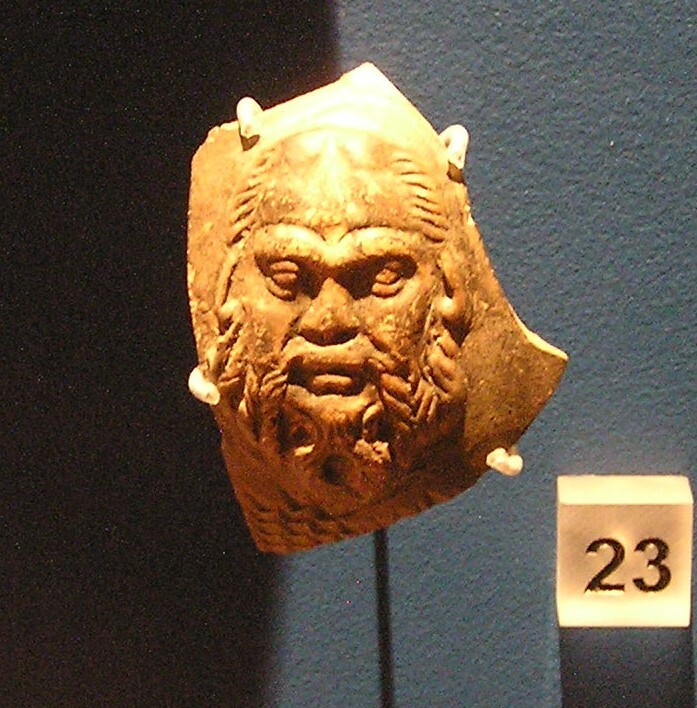 Below is the face of Silenus, companion of the god of wine. He’s thought to have been part of a pot placed in someone’s grave. I’d like to imagine that whoever lay beside him is somewhere in an afterlife, feasting in the company of the other Roman Londoners whose snatches of conversation we’ve been privileged to overhear. Note: The Crossrail exhibition runs until 3 September 2017 and much, much better photos and video of it can be found here. (Thanks to historian Lindsay Powell for the link!) 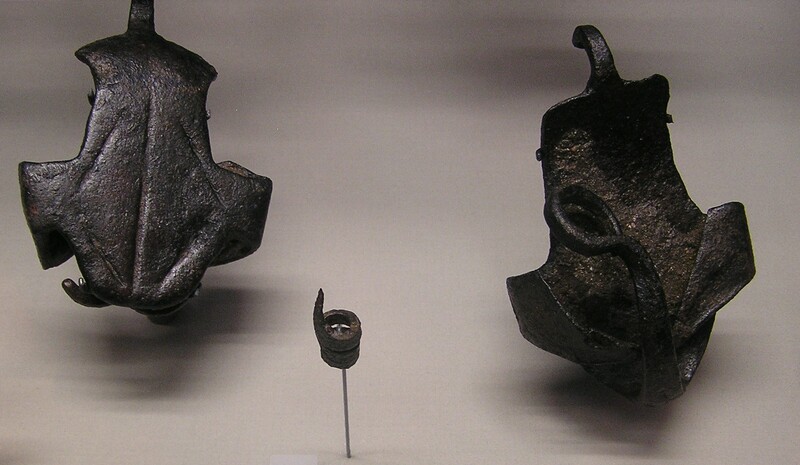 There’s lots more to see in the permanent Roman London gallery in the main Museum of London. I understand some of the writing tablets will be on display when the new London Mithraeum museum opens in Bloomberg’s London HQ later this year – there’s a good video about the history of the site and the plans for the museum if you scroll down here. The date I have at the moment for “Memento Mori” is next March, Lora. The editor spotted a giant hole in the plot so it came back to be patched! Hi Ruth We were at the Crossrail exhibition on Monday. We were saying that we hope they find it a permanent home after September. We were down there for me to receive the Liberty of the Borough of Bermondsey in Southwark Cathedral for my school governors work. Before you ask I cannot do anything with sheep which seems to be most people’s question. All well here thanks. Re the exhibition: isn’t there a metro station in Rome (or is it Athens?) where they display the finds from the excavation as you go down to the trains? Wonder if TFL will oblige? https://romaninscriptionsofbritain.org/inscriptions/684) and remain unmoved. Maybe he was exceptional. I think not. I believe they felt just as profoundly as we do today. That’s heartbreaking, Scott. Poor man. (And poor girl.) I’m up in York for the Eboracum Roman Festival 2-4 June and will be next door to the museum, so I’ll try to pop in and see the original.